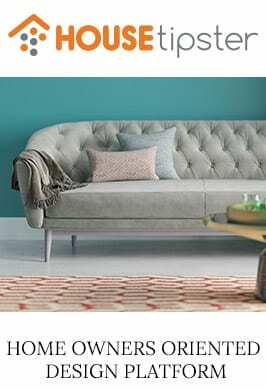 “We’re all about bringing quality products to life. We want to make life better every day for people,” said Cara Acker, Bosch’s senior brand manager. 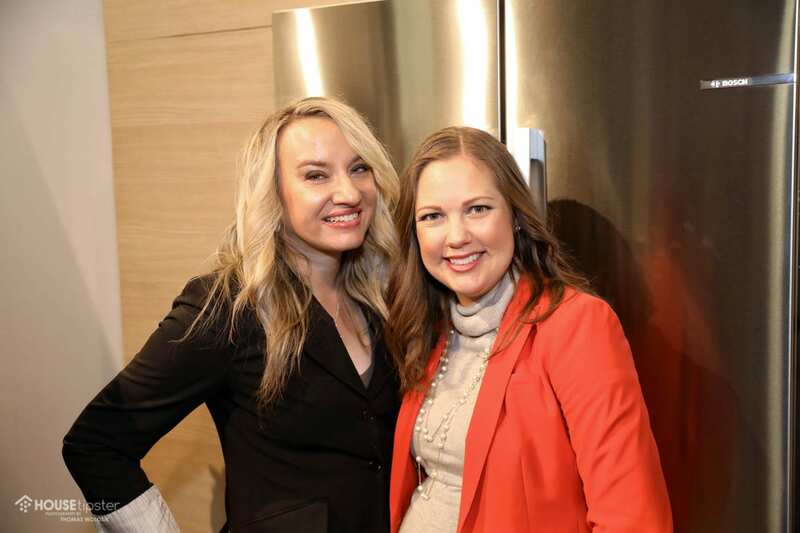 During an exciting interview with interior designer and House Tipster host Yvette Irene at the AD Design Show 2019 in New York City, Acker discussed Bosch’s innovative new line of design and function-rich refrigeration and dishwashing products. 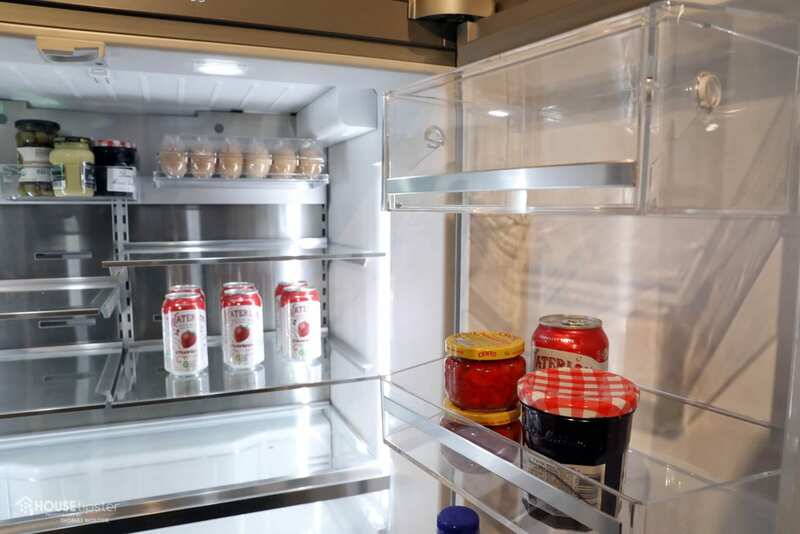 Bosch’s French Door Bottom-Mount freestanding refrigerator, set to hit stores in the summer of 2019, is just one of the brand’s debut appliances. Featuring double opening doors and a bottom-mounted freezer, this unit relies heavily on practical design and details, ultimately making it comparable to a built-in style, but with a counter-depth perfect for smaller, more transitional spaces. Hidden hinges, flat doors, and no air vent are just some of the design features that elevate the French Door Bottom-Mount. 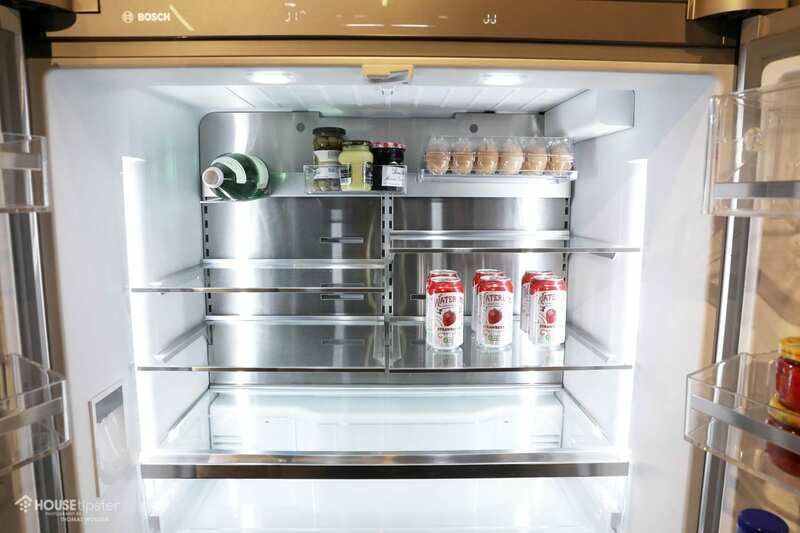 However, high-style doesn’t end when you open this refrigerator’s doors. Inside, you’ll find a stunning stainless steel back wall, glass shelves with stainless edging, and custom interior lighting that ensures visibility all the way to the back of the fridge. 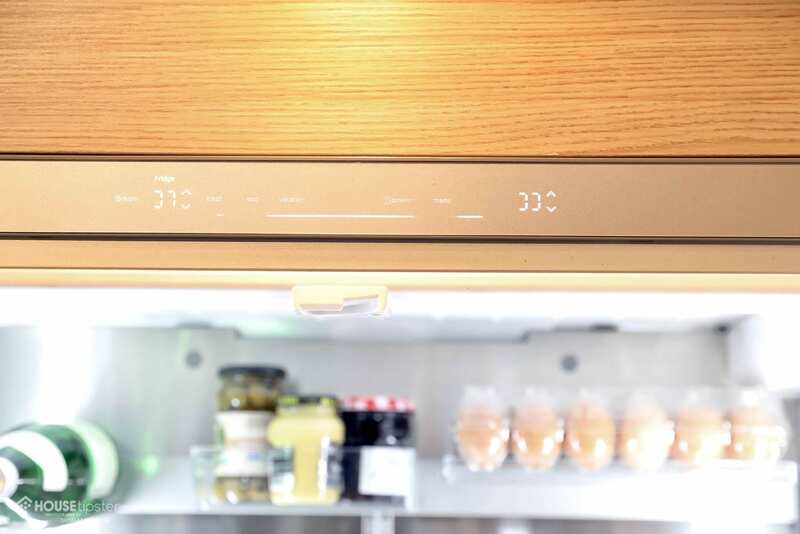 Understanding that the space near the top of a refrigerator isn’t always fully utilized, Bosch designers created a way to decrease the amount of dead space. The result is Bosch’s FlexBar, one of the brand’s most novel features to date. 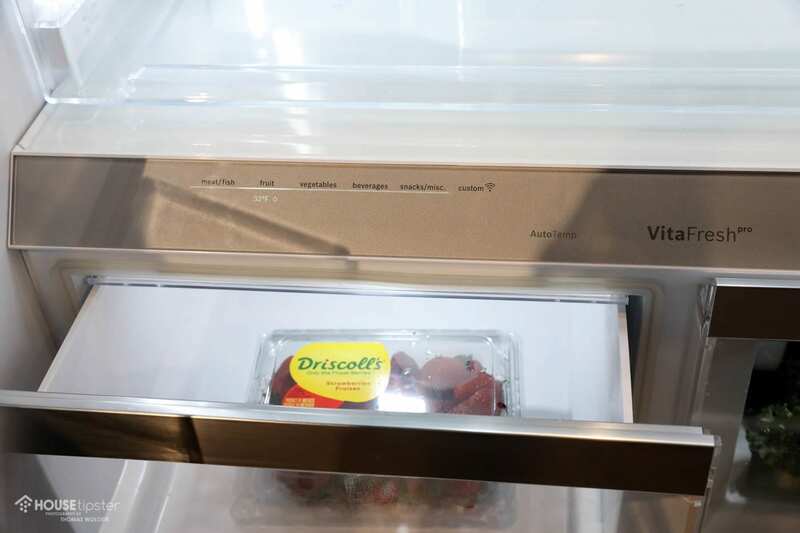 Another stellar new technology, the Farm Fresh System, uses a 4-point control to manage the temperature and humidity in the VitaFresh Pro Drawers. As the highest touch-point appliance in the kitchen, the refrigerator takes quite the beating and is often covered in unsightly fingerprints. To combat this all-too-common problem, the company uses fingerprint-resistant stainless steel meant to guard against fingerprints and offer easy cleanup. “It’s meant for real life, and real people in the kitchen,” stated Acker. 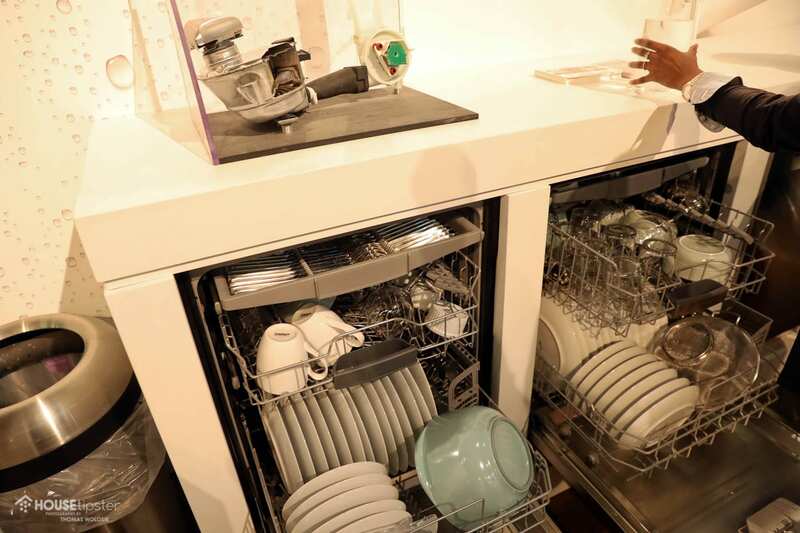 The new Crystal Dry Technology was another AD Design Show 2019 showstopper and builds on Bosch’s reputation as a company with some of the quietest and most efficient dishwashers on the market. This high-tech element makes sure dishes come out of the dishwasher “perfectly clean and perfectly dry,” even if they’re not prewashed. Acker confirmed that even plastics dry completely with Crystal Dry Technology. Bosch’s showing at the AD Design Show 2019 proves that when it comes to beautiful customer-focused kitchen appliances, the company remains an industry powerhouse. To hear more from our conversation and see an up-close-and-personal look at designs from the show, make sure to check out the exclusive House Tipster Industry LIVE episode we filmed with Cara Acker. Press play on the Facebook video below to get started.